OK, the Canadian iBookstore are not empty per say… they are empty of commercial book titles. It appear as if Apple was not able to come to an agreement with Canadian publishers on selling eBooks in Canada. Only books from the Gutenberg Project can be had for free at the moment. 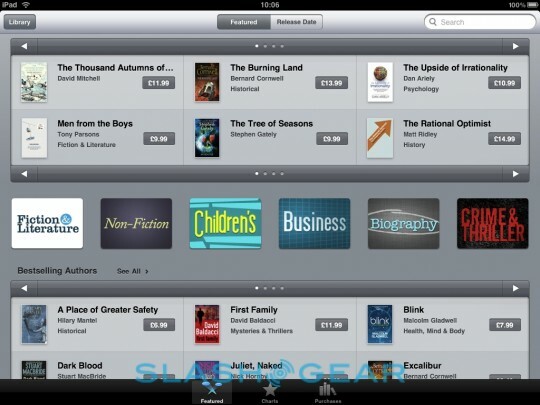 Earlier today the UK iBookstore was filled with titles from Bernard Cornwell, Tony Parsons and Malcolm Gladwell, among many others. Will Canadian iBookstore follow soon? Let just hope!